Every Queen, like Retta and myself, must have a King and you can not celebrate Treat Yo’ Self Week without its’ King, our dear friend and kindred bling spirit, Aziz Ansari. 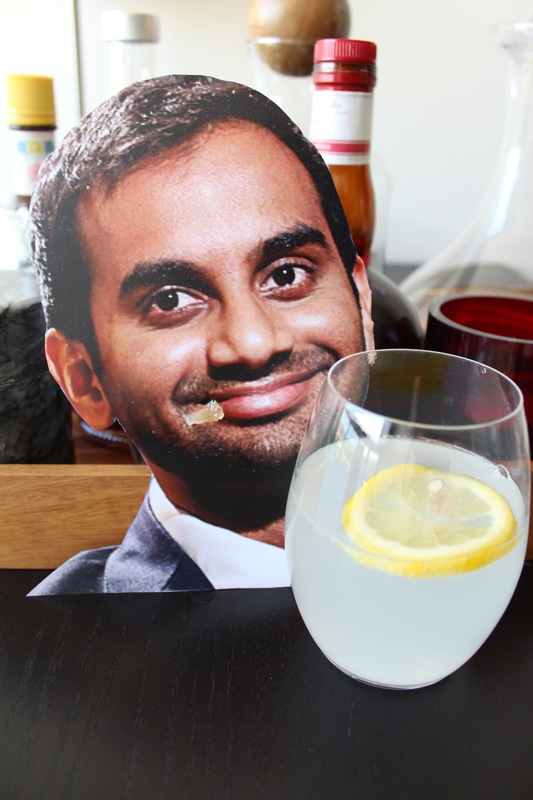 I first connected with Aziz when we travelled back in time to join the Parks writer’s room in 2009 where I became his pet project where he tried to make my unending confidence and love of pop culture and excess likeable – or in the likeness of Tom Haverford. Aziz, bless him, didn’t realise how hard that task would be – what with my passion for feuding and acid throwing – but he was committed to the project and by 2012 had succeed in making me a barely functioning adult that was tolerated in society. Following Aziz’s success in transforming my life, we had planned to take the self-improvement system/cult global and rip of millions of people however Aziz being Aziz, was too successful selling out The Garden, writing books and starring in a hit sitcom to continue with the scheme. Oh, plus he is super nice and thought the cult aspects I was pushing were wrong. Whatevs. Being renowned foodies, Aziz and I try to stay abreast of the best on the scene – fun fact, I was an integral part of the insemination of The Food Club, however was disbarred after I misunderstood the context of the word insemination. Thankfully is Aziz is such a champ that he never held it against me so we still catch-up to discuss the scene, generally over my renowned Gin Fizz Ansari. I first took to Gin when I discovered it was the liquor of choice of all the best, depressive writers, and realised I was desperately in need of any and all help to hone my craft. 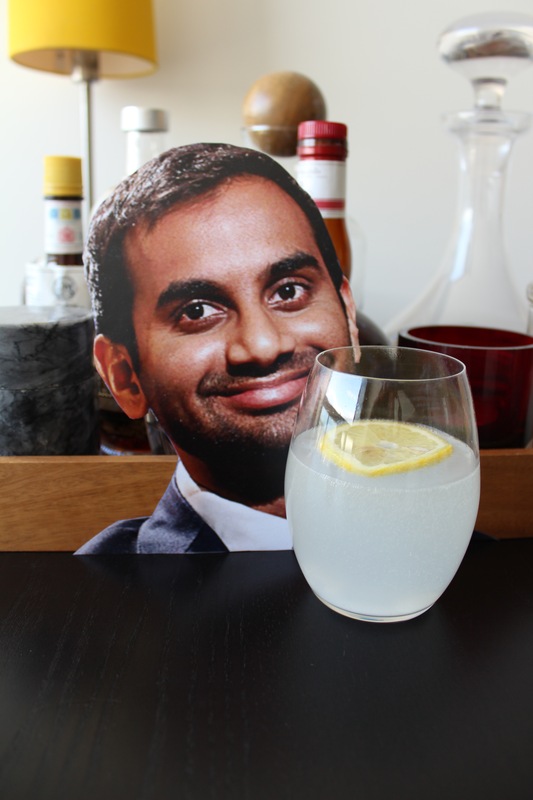 Knowing this, I took my gin fizz – all light, tart and refreshing – over to help while Aziz was writing his book and needless to say, he was a fan. Boozing with the boys? Treat. Yo’. SELF. Place gin, lemon juice, caster sugar and soda water in a cocktail shaker. Unlike the name and Bond’s preference stir, otherwise you may end up with an explosion and who can be bothered cleaning when you could be drinking? Pour into a glass. Guzzle.